At the moment Europe is fraught with the financial crisis in the Euro zone. As part of a proposed solution the ECB has even turned to China to help out financially. For many this seemed to be an historic moment when the relationship between Europe and China changed. 1. Fossil fuel fears. Compared with its competitors the EU is far more energy efficient. The average EU citizen produces three times less CO2 emissions compared to his US counterpart. This efficiency will allow Europe to weather any fossil fuel storm more easily and also help it to lead the world in related technology. It is an example of Europe adapting to a serious problem and bodes well for the future in this ever changing world. 2. Global warming. The European climate is much less extreme than most other areas of the globe. As a result it is likely to be least affected by global warming, and yet it has the technology and resources to react where action is required, e.g. increased flood defences for Holland or Venice. 3. Manufacturing. The US continues to move its manufacturing overseas to its competitors in Asia, with even major parts of Boeing planes and all of Apple products now being made in Asia. European industry seems more reluctant to do this with ‘big ticket’ items like cars, planes and heavy machinery still mainly manufactured in Europe. Maintaining a manufacturing base at home will help to spur European innovations and growth in the future, and provide employment. 4. Eastern Europe. The Countries of Eastern Europe are beginning to catch up with Western European levels of infrastructure and standards of living. This will continue to give a boost to demand within the EU. 5. Population. At present Europe’s population is growing more slowly than its competitors; however this does not mean that this will continue indefinitely. Even still, the current population of the EU is 503 million. Countries are still knocking on the door wanting to join. In the coming decades it is possible that any or all of 10 neighbouring countries could join the EU. Together these countries total nearly 150 million people. The EU is a giant on the world stage, in economic and population terms, and can grow further just allowing other countries to join and discounting any population growth. 6. Political stability. Some sections of the British media like writing about the EU breaking up. While I consider this to be highly unlikely it is a possibility. But the Countries of the EU are stable, democratic and peaceful and breakup could happen to any other union, the UK, China, India or even the US. In my opinion it is more likely that China, as a non-democratic state, would encounter major political instability knocking growth in the coming years rather than the stable countries of the EU. The US with the development of the Tea Party movement is also showing that it could retreat into a narrow nationalistic mindset and adopt policies that would protect special interest groups but harm its broader society and growth. 7. The Euro. The Euro is going through some severe growing pains at present, but lessons are being learnt the hard way and it will be the stronger as a result. In years to come it might even become the reserve currency but more likely as the Dollar weakens it will remain one of the three dominant currencies of the world. This will continue to provide major benefits for all the Countries of the Euro zone. 8. Technology and language. Europe is not as united as it could be if it shared a common language. Although English is becoming a common language, in the decades ahead I have no doubt that as handheld technology develops we will soon have an earpiece which will translate any voice into the user’s language. When this happens we will truly have a European Union of peoples rather than just economies. 9. Social protection. The level and extent of the social protection schemes available for the populations of all EU countries are virtually unheard of in most of the world. These schemes allow European society to be more stable and boost the quality of life for all. It also allows people who fall on hard times to have a safety net to allow them to rebuild their lives and become a full and productive member of society again. These schemes will boost growth in Europe by ensuring that it is an attractive place to invest in and guaranteeing that social unrest is less likely. 10. War. The Wars of the 20th Century in Europe left her ruined. As a result of European integration, war between member states of the EU is now next to impossible. 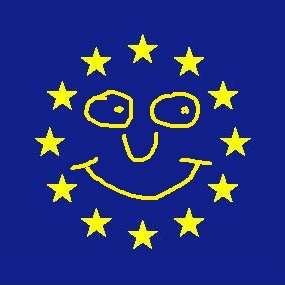 This is the greatest achievement of the EU. Standing back and viewing European history and progress over a number of centuries it is this fact alone that means that the future is brighter for Europe and all her peoples. So those are the reasons why I think Europe will continue to thrive and prosper in the years ahead. The founding Father of European integration, Jean Monnett (1888-1979), had to listen to naysayers at every step of the long process of uniting the continent. But he never gave up on his dream of a Europe working together in a peaceful, prosperous and co-operative way. His vision has been achieved now, to a large extent, and we shouldn’t lose sight of what an astounding achievement it has been and the inherent advantages it brings us all, now and in the future.